Global warming can be largely regarded as a man-made phenomenon at this point and no animal species appears to benefit from it. That is, up until now. When Canadian scientists gathered for an annual conference, among other issues discussed was the influx of killer whales into the Hudson Bay. Let’s look at what’s going on. In the past, rigid floes were tricky for the marine predators to navigate and they frequently got trapped. In fact, orcas are particularly cautious of venturing into water with large ice floes. The main issue killer whales face in the region is the arctic ice itself. These dolphins can easily get their fins stuck underneath it leading to drowning (orcas need air to breathe). It also makes moving though the waters a difficult task which requires a lot of energy and time. Sometimes, the killer whales quickly get tired of the process and stop searching for a passable path. At the rate ice is melting, killer whales just might become the largest fans of global warming as it allows them to roam the Arctic more freely. 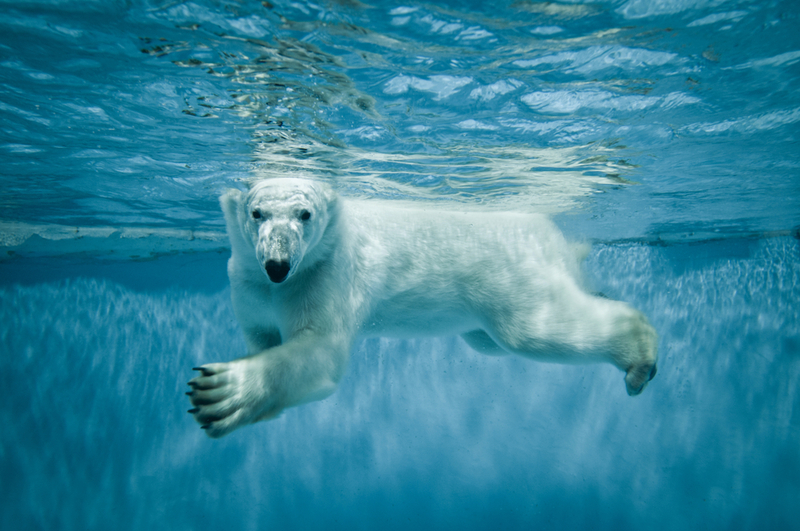 The waters will become easier for these massive mammals to navigate and even now they could threaten the current apex predator; the polar bear. The first news of this phenomenon came during the 2016 ArticNet conference. During the conference, more than 800 scientists debated the changes occurring in the far north. One of the authorities on killer whales, Dr. Steven Ferguson, presented his findings that clearly show an increase in both killer whale and polar bear activity in the region. Before then, Dr. Ferguson and his colleagues had spent about 2 years closely monitoring Canada’s Hudson Bay and what they discovered made them raise an alarm. Although the melting ice is clearing the way for killer whales, it could spell doom for other marine life. During the past decade, global warming has extended the Hudson Bay’s open-water season from the usual 2 months to 3 months. Consequently, it’s easier for killer whales to pass. And when they do manage to pass, they come with a sole purpose in mind – to feed. Unfortunately, their main target are the breeding beluga whales. And, as nearly 60,000 of these defenseless whales pass though the Hudson Bay every year, the killer whales have much to look forward to. So What Becomes Of The Polar Bear? Whatever the case may be, the current “top dog” in the Far North, the polar bear, doesn’t have much to fear from the killer whales themselves as they don’t normally attack the bears. Although there are reports of killer whales feeding on polar bear carcasses, scientists believe that the dolphins won’t attack live bears. But this does not mean that this is good news for the polar bears. The introduction of a new top-predator will leave them will less food and more to be wary of. Especially when you consider the fact that hardly any predator can contend with the killer whale. Orcas (killer whales) tend to panic when navigating icy waters but global warming may be clearing new paths for them to hunt. For now, there are increasingly more sightings of both polar bears and killer whales in the Hudson Bay. Even the locals too are noticing them as they feast on the beluga whales. Note that we cannot blame this phenomenon on global warming only. A 15-million dollar study was recently launched to examine the effects of freshwater from hydroelectric dams on ice formation. Findings from that study could shed more light on other factors at play here. Despite all this, it’s not all good news and smooth sailing for the killer whales though. As they learn to navigate these new waters they are bound to run into a number of problems. Topmost among their concerns would be the risk of entrapment under ice. Time will tell if it’s work the risk for orcas to continue flooding the Hudson Bay seeking beluga whale meat or not.